Carlyn L. Radcliffe, 71, of Lancaster, passed away on March 22, 2018 at Lancaster General Hospital. She was the loving wife of Walter “Terry” Smith Radcliffe for 46 years. Born in Springfield, PA, she was the daughter of the late Carlo Celeste Bosi, Jr. and Leonora Ethel (Worman) Bosi. 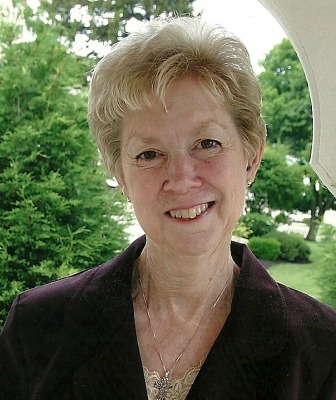 After graduating with a Master’s Degree in Education from West Chester/Millersville and a BA from Shippensburg University in 1968, she spent her professional career as an educator and counselor for various school districts including Glenolden outside Springfield, Manheim, Solanco, and Hempfield townships and was proud to work with her students in the Youth Peace Council (YPC). At Shippensburg she was President of the Zeta Beta sorority and in the homecoming court. She served as social chairperson of Lancaster Ski Club in the 70’s, Junior Golf chairperson and 9-hole chairman at Lancaster Country Club in the 80’s, Chairperson of the Susan B. Komen Race for the Cure and was proud to have a hole-in-one. She also volunteered her time with the Daffodil Days for the American Cancer Society, was an AAUW member and a Delta Kappa Gamma Society member. Carlyn (Lynne) was a Stephen Minister at First Presbyterian Church in Lancaster where she served as a Deacon, an Elder and taught Sunday school. Lynne was enjoying her new home at Farmstead/Homestead Village and was looking forward to getting her gardening going again this spring. In addition to her husband Terry, she is survived by two sons, Jonathan Radcliffe and Andrew Radcliffe (husband of Kristie); three grandchildren and a sister Cindy Lavery (wife of Andy). I am so sorry. May she rest in peace. Dear Terry, I am so sorry to hear about Lynne’s passing. She survived so many physical obstacles and always managed to smile and keep the faith. I wish I had pushed myself to see her more often and have the good chats we had when she worked for Hempfield School District. There should be a multitude of old students and others she touched through her volunteerism. She will be truly missed by everyone who knew her. I will pray for you and your family during this difficult time. We will miss Lynne’s radiant smile and her caring attitude to all she met. Please know that we and all of your Farmstead “family” are here to support you in any way that we can. Mark and I are so sad to hear of the loss of Lynn. Such a dear and sweet lady. We were shocked to know that she passed away. We are so very sorry we are not home right now. We will give you a call when we return. We will certainly be thinking about you in the coming days. Dear Terry, Andrew and Jonathan: Our heartfelt sympathies on the loss of your wife and mother. Thanks for the many happy and blessed memories we shared over the 60 years we knew each other. We hope you will find comfort in your memories of Carlyn as wife, mother, grandmother, and friend. She always found such joy and pride in sharing her life with all of you. PS: I will miss that ST. Paddy’s Day car I received every year from a certain someone!!! Terry, So sorry to hear the sad news of Carlyn’s passing. My deepest sympathy for you and the family. Lynne meant so much to me and my family, she was such a dear sweet person and I truly loved her. I am so very sorry for this loss especially at such an early age. She will be missed by so many whose lives she touched. I will never forget her kind and loving soul. An amazing woman who left an impression on my heart. Prayers and blessings for your family. We were so sorry to read of Lynne’s passing. Sending our love and condolences to you and your family. My family and I are sending you our deepest sympathies. No one is ever prepared for the loss of a loved one, and nothing we can say will eleviate the pain and loss you undoubtedly are feeling. But your family will be in our hearts and thoughts, hoping that you may find peace. We offer love and support at this most difficult time. Lynne was a caring, loving, and joyful person who will be missed by many. Wishing you peaceful hearts as you are surrounded by happy memories of a life well lived. So sorry to see of Lynne’s passing. Unfortunately we couldn’t be there today to extend our condolences in person. We are sorry to hear of the loss of your mother. Our condolences and prayers are with your family. Prayers from the Mason Family. I was so sorry to hear at Rotary that you lost a large part of your life. I hope that you take comfort in knowing that your loss is shared by many that hold you in their prayers. May the blessings of the Lord be with you. Terry – I am so sorry to have just heard about Lynne. We were away for the month of March so we missed both the original notice in the paper and the funeral. Over this past weekend someone mentioned it and we are in shock. We remember so well the many wonderful, fun and crazy times we had skiing and on trips together. How could those days be 40 years behind us. Evidently you moved to Homestead so I don’t even know how to contact you. Lynne was such a good friend and a good person. She was beautiful in every way and I’m sure you and the boys are struggling with all of this. Reading between the lines, it sounded like her death was not anticipated. If you get this I’d love to get some contact information for you so we can talk real time. In the meantime, please realize that both Ted and I are thinking of you and send our most sincere sympathies. Hi Carol, if you receive this, contact me at 2673127585 and I’ll put you in touch with my dad. Terry, Mary Jo and I are saddened to learn of the death of Lynn. We knew her primarily from Ski Club and remember some of the day trips we were on with you folks. Our thoughts and prayers are with you and your family. We extend our deepest sympathies and wish you well. I and we are heartbroken to learn you lost your sweet Lynne when I was trying to find your new contact information tonight. You confided to me after you first met Lynne that she possessed all the good of everyone you had ever met. It was no surprise that you soon married her. She left her mark on everyone with her infectious smile, sweet demeanor and personality that was so welcoming fun loving and encouraging. She will live on in the two sons she was so proud of and in all of our memories. Our thoughts and prayers go out to you and your family and we wish you peace.